For the Hollywood Syndicate, it is a privilege to have a Silvano off-spring under our ownership and we look forward to seeing MUSTER UP lining up at the start in the months to come. 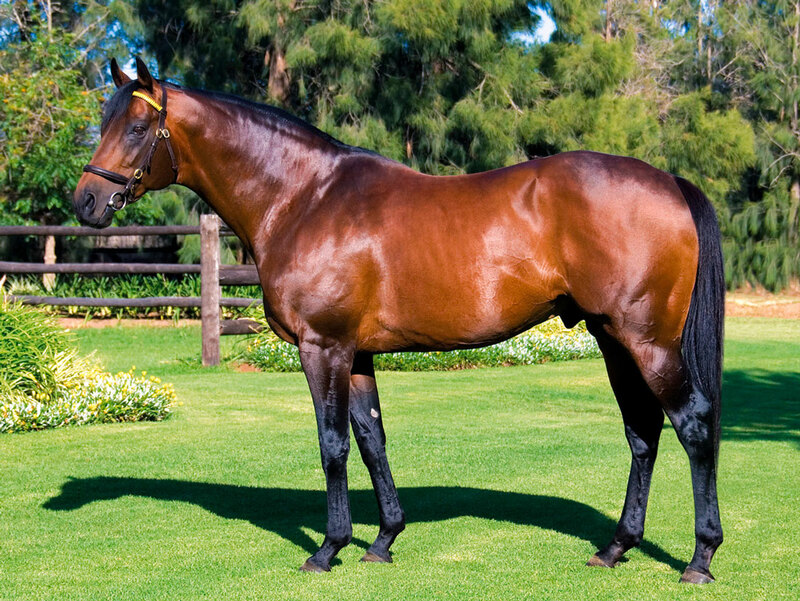 Learn more about Silvano below and his incredible career as a racehorse, as well as a sire. The sire of our National Yearling sale purchase, Muster Up, here is a look at Silvano’s career. Silvano was bred and raced by the Jacob’s family’s Gestut Fahrhof farm. A versatile, tough son of Lomitas, he was a true global competitor – racing in six different countries and winning features (group level) in North America, Hong Kong and Singapore. He was best known for his wins in the Arlington Million Gr1 (2001) over 2200m, the QE II Cup Gr1 over 2000m and the Singapore Airlines International Cup Gr1 over 2000m at Kranji. Elsewhere he was super competitive, finishing 3rd in the Dubai Sheema classic behind the likes of Stay Gold and Fantastic Light, as well as pulling off a respectable fourth in the Cox Plate in Australia. At stud, he initially remained under the ownership of Gestut Fahrhof as a shuttling stallion before making South Africa’s Main Chance farms his permanent residence. He has since thrived here and for many years now his off-spring have been sough after by local and international buyers. So far in 2018, his yearlings have been sold for R3mil, R2.8mil, R2.6mil, R1.3mil, R1.2mil and R1.1mil (x2). Now at 22 years old his sterling career is coming to an end, but he has certainly left his mark on the South African breeding and racing industry for many years to come. Learn more about our Silvano colt MUSTER UP by clicking here!